Innovation has incredible potential for improving our well-being by advancing the accessibility and affordability of healthcare, as well as introducing us to new ways of caring for ourselves and our families. Join us at our upcoming Speakers Forum to explore the role well-being innovation plays in the life stories of people and communities. 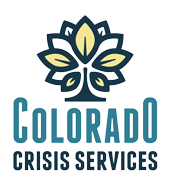 Mental Health Center of Denver offers programs and services for the entire life cycle. Call our Access Center today to get started. Maintaining your overall wellness includes strengthening the whole you - body, mind and spirt. Take charge of your mental health today with myStrength. We offer Mental Health First Aid classes for adults, adults assisting youth and special classes delivered in Spanish and American Sign Language. This training provides crucial information to help someone in need. Our Deaf & Hard of Hearing Services team provides specialized outpatient mental healthcare for deaf and hard of hearing children, families and adults in the Denver area. Our work and education training programs are designed to provide clients in our community with the education and employment they need to lead successful, empowered lives. Voz y Corazón is a suicide prevention program created by teens, for teens. It is free, community-based, culturally sensitive mentoring and suicide prevention services to teens and their families. Healthy Living is a community-based education & wellness program offering free classes for everyone in the Denver community. We offer classes in all major languages including ASL. DENVER — There were two things missing from Kaylei Hinkson's life: a personality of her own and the opportunity to just be a kid. But that all changed after Kaylei was treated at Dahlia Campus for Health & Well-Being. Kaylei was part of the center's Right Start for Infant Mental Health, a program that treats children ages birth to 5 years when there are concerns about emotions, behavior or development. Click the button to find out how you can support us with your time, talent or treasure.